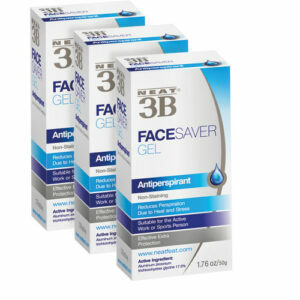 Incredibly effective chafing and sweat rash prevention cream. 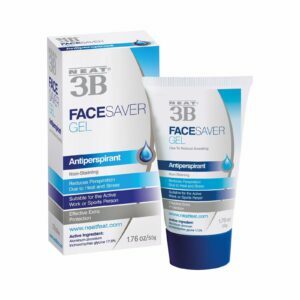 Don’t let chafing and sweat rash slow you down with this incredibly effective chafing and sweat rash prevention cream. The Cream incorporates an effective antiperspirant in an emollient, soothing cream base for application to areas where skin surfaces rub together and become inflamed. The underlying problem in these situations is perspiration and the resulting chafing between skin surfaces: sites at which this occurs are between the buttocks, between the legs and beneath the breasts. 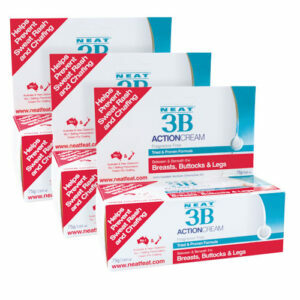 Neat® 3B Action Cream is pro-active, not reactive like some products; its active formula prevents chafing and sweat rashes from occurring in the first place. Unlike Hydrocortisone cream, it is safe for all the family. The product may also help to prevent fungal infections such as Tinea and Intertrigo which tend to occur in these warm, moist areas of the body. Neat® Feat 3B Action Cream has quickly been adopted by sports people and by people living in the warm climate areas of the world. It is suitable for use by the whole Family. For the prevention of sweat irritation and chafing between the legs, between the buttocks, and beneath the breasts, apply to clean dry skin of the affected area once or twice daily. Apply to specified body areas only. Do not apply to broken skin. Aqua, Aluminium Chlorohydrate, Paraffinum Liquidum, Glyceryl Stearate (and) PEG-100 Stearate, Propylene Glycol, Petrolatum, Cetearyl Alcohol, Cetyl Alcohol, PEG-40 Stearate, Lanolin, Sorbitan Stearate, Diazolidinyl Urea, Methylparaben, Propyl Paraben.